Award-winning author, inspirational speaker, spokesperson and Television host, Ying is a sought-after speaker who has lectured at schools and universities around the world, such as Singapore American School and UC Berkeley, high-end resorts/cruise ships including Canyon Ranch, The World, Crystal, and Silver Seas, as well as prestigious TCS World Travel expeditions. She can present fluently in both English and Mandarin Chinese and has extensive experience in speaking to audiences of all ages and cultural backgrounds. Ying has authored over 20 books of multiple genres. Her keen interest in cuisine has led her to weave food into her writing — from cookbooks, novels, to picture books for young readers. She is passionate about showcasing Chinese history and culture, promoting healthy eating and living and inspiring young writers. Ying has visited schools around the world, conducting her popular week-long Writer-in-Residence program to teach young writers. She also offers assemblies, lectures and hands-on demonstrations on healthy eating and cooking. For more details visit her School Visit page on her website. 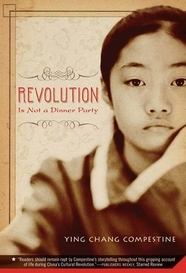 Her novel Revolution is Not a Dinner Party, based on her life growing up during the Chinese Cultural Revolution, has won numerous awards globally and has been selected as required reading in schools around the world. Several of her works are currently being adapted into movie television series, and video games. Ying has been featured on numerous national television programs and is regularly profiled in prestigious news media agencies, such as The New York Times, Washington Post, San Francisco Chronicle, and Huffington Post in addition to being named one of the “50 Great Writers You Should Be Reading” by the Author’s Show. Here is Ying’s bio in Chinese. Nine-year-old Ling has a very happy life. Her parents are both dedicated surgeons at the best hospital in Wuhan, and her father teaches her English as they listen to Voice of America every evening on the radio. But when one of Mao's political officers moves into a room in their apartment, Ling begins to witness the gradual disintegration of her world. Will she be able to grow and blossom under the oppressive rule of Chairman Mao? Or will fighting to survive destroy her spirit—and end her life? 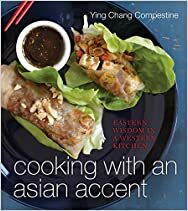 In Cooking with an Asian Accent, award-winning author Ying Compestine, a nationally renowned authority on Asian culture and cuisine, reveals how to make delicious home-cooked meals that nourish the senses and the soul using accessible ingredients, simple preparations, and thrilling flavors. 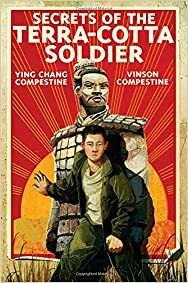 In this action-packed adventure and coming-of-age story that finely weaves fact and fiction, thirteen-year-old Ming lives in a small village in Maoist China in the 1970s. From the stories of a terra-cotta soldier who has survived through the centuries, Ming learns the history of Emperor Qin, known for building the Great Wall of China, and how and why the terra-cotta soldiers came to be. A collection of quick, healthful, and delicious one-dish meals that include protein, high fiber carbohydrates, fresh vegetables, and more. Prepared using fast cooking techniques and nutritious ingredients, these recipes allow readers to pull together satisfying meals in a snap. Bonus materials include: meal-planning tips; ingredient short-cuts; grains and pasta cooking and storage guide; and pantry lists to make last-minute meals a breeze. 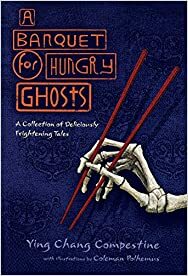 As night falls, one hungry ghost is looking for his dinner. Yum! He spots a plump, delicious-looking boy just right for boy dumplings. Even better, the boy knows the perfect recipe. He sends the ghost all over China for stinky garlic, wormy cabbage, and moldy dumpling wrappers. 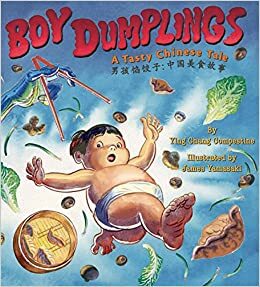 There's always one more ingredient the boy tells the ghost to find, but the hungry ghost knows the boy dumplings will be worth it. But when dawn arrives, will this crafty youngster escape--or will the plan he's cooked up lead him to the cooking pot? 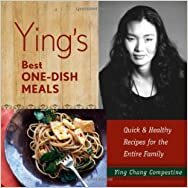 Check out more of Ying Compestine's books, including cookbooks, novels, and picture books, here. Listen to Ying Compestine discuss the Chinese New Year on NPR’s Morning Edition. Watch Ying Compestine’s Youtube channel for more appearances and cooking tutorials. Learn more about Ying Compestine on her website and LinkedIn. “Ying Chang Compestine is a dynamic and inspiring speaker. Ying is particularly gifted in speaking to upper elementary as well as high school students and her life story is well worth hearing. Our younger students really enjoy Ying’s Chinese flavored picture books and being an international school in Taiwan, they could relate to the content. 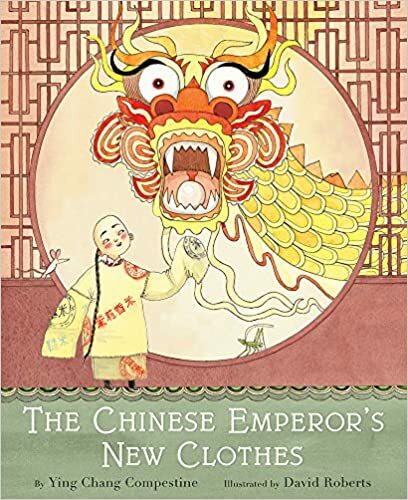 Look no further for picture books that make the Chinese traditions come alive! Ying’s tips on how to be better writers together with her personal anecdotes relating to growing up during the Cultural Revolution stimulated further discussion in the middle and high school LA classrooms.” – Megan Noble, EMS librarian, Morrison Academy, Taiwan.